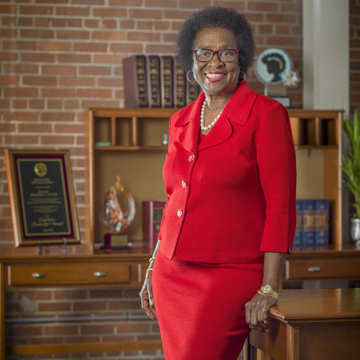 Last month, at the annual Kennedy-King Dinner, the Hillsborough County Democratic Executive Committee honored Senator Arthenia Joyner (D-Tampa) with the Helen Gordon Davis Lifetime Achievement Award. This honor recognizes Senator Joyner’s lifetime commitment to helping the people of Florida through her various actions in civil rights movements and other leadership abilities. She realizes the importance of this recognition as it embodies Helen Gordon Davis’ spirit and cause. The leadership qualities displayed by Senator Joyner is what led her to be first selected to legislature 16 years ago. She was the first black woman elected to the position and her ongoing leadership has led to countless victories for those she represents, in and out of the courtroom. At Vanguard Attorneys, we are extremely proud to not only have Senator Arthenia Joyner as part of our team, but to also know her as a friend. This type of honor is just one of the many reasons she has become a leader in the movement for equality. Learn more about Senator Joyner by reading her profile. Need legal help? Call our firm and learn more about what we may be able to do for you.